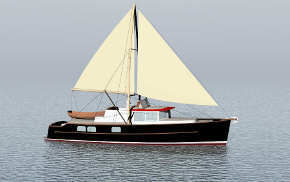 Black hull, teak house, and tanbark sails is the proper look for a schooner. Few look the part as well as Lumberjack. 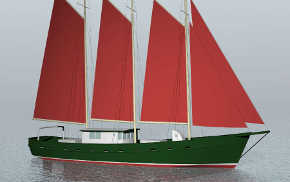 Lumberjack is a steel schooner designed in 1935 by Victor Brix. 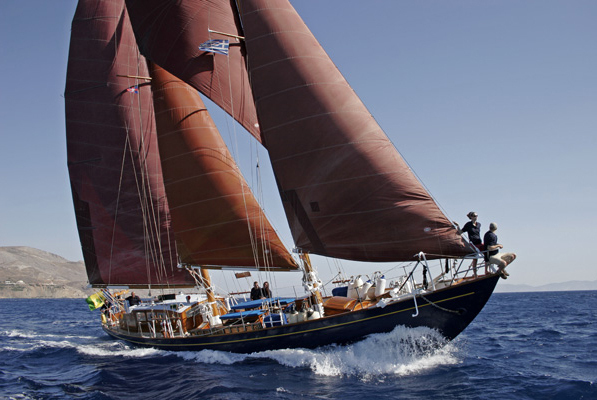 She was built by G. De Vries in Amsterdam, originally under another name and ketch rigged. Just after WWII the Hon. 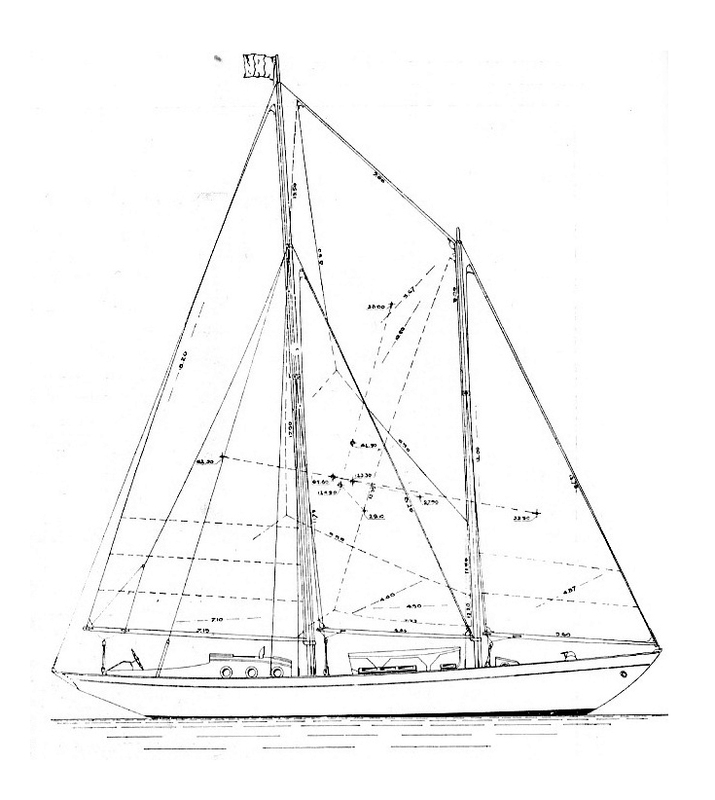 Sir Max Aitken bought and converted her to the staysail schooner, and changed her name to Lumberjack. 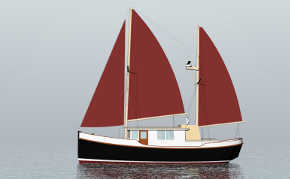 No doubt his rig choice was influenced by the success of the Burgess designed Nina. 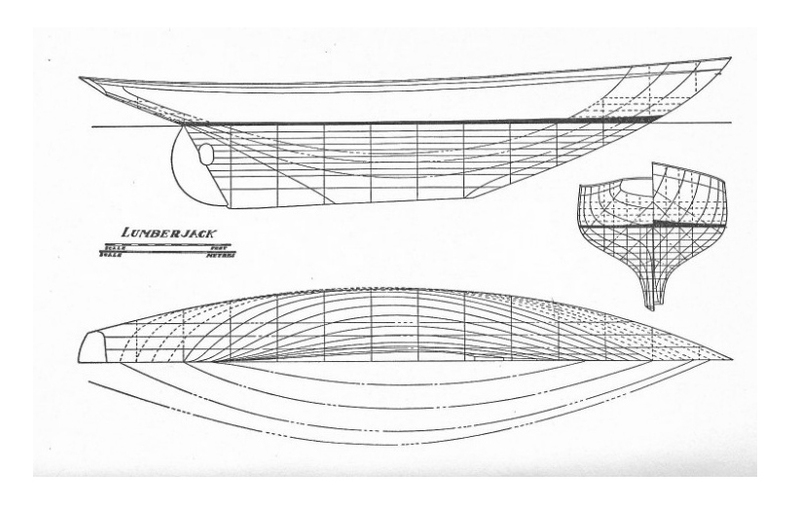 Lumberjack is about 65′ LOA. 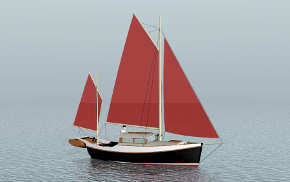 Max Aitken raced her hard up until about 1957-58, when he had the Hunt centerboarder Drumbeat built and Lumberjack became a cruiser. 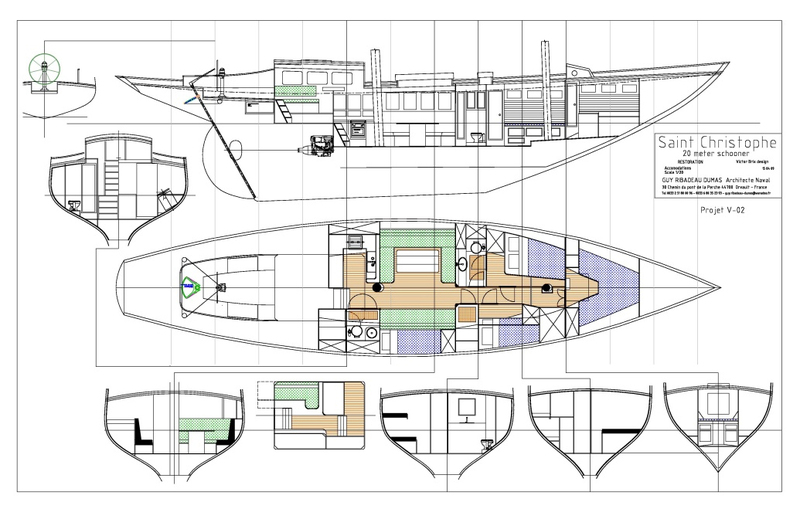 Recently she was refitted with a new interior arrangement overseen by French designer Guy Ribadeau Dumas.